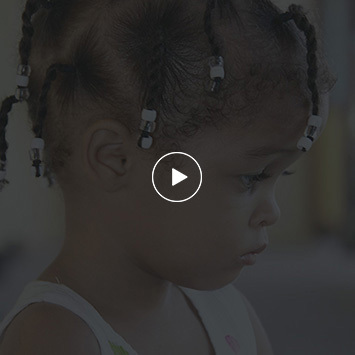 His two daughters, four and three at the time, shared their home and playtime for two months. Agius believes they learned a life lesson many parents wish they could impart to their sons and daughters. For Agius, as well, it was an incredible life-changing experience. With corrective heart surgery sponsored by Gift of Life, children with congenital heart defects in undeveloped countries, from babies to teens, have a future. Seventy-two Gift of Life programs are scattered throughout the world on five continents. Since 1975, the programs have provided 16,000 open-heart surgeries and saved children from 65 different countries. 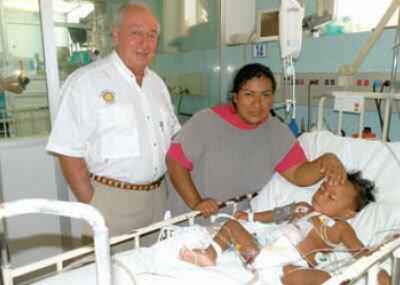 Rotary clubs locate the child in need and send the records to the U.S. Gift of Life organization for participating club sponsorship. Rotary District 6960 includes Bradenton to Marco Island and East to Clewiston and Labelle, 50 clubs with 2300 Rotarians. Since 2008, Agius of Bonita Springs Noon Rotary served Rotary Gift of Life, Florida, Inc. as President, a member of the Board of Directors since 1998. “All Children’s Hospital in Clearwater, St. Joseph’s in Tampa, Joe DiMaggio in Hollywood and Jackson Memorial in Miami, Florida provide heart surgery for the selected child at $5,000 each. Until a few years ago, District 6960 sponsored 15 to 20 children each year. A Rotary Club sponsors housing, travel, food, heart surgery and emotional support,” said Agius. Sonny Grech of the Rotary Club of Naples, took Agius’ message to heart at a meeting closely following the untimely death of his son. Grech, a tireless fund-raiser for Gift of Life to honor his son, has personally supported children from Uganda, Venezuela, El Salvador, Jamaica and more. Patients’ families take a picture of his son home with them. He saw one displayedin a small mud hut. Difficult cases still come to the United States. However, according to Agius and Grech, the focus recently changed to pediatric cardiology units in the undeveloped countries and sponsorship for U.S. doctors to train physicians and staff at those sites to save more children. This past October, in a medical training mission to San Salvador, co-sponsored by the Rotary Club of Naples, medical professionals were a top-rated international team who came from Denmark, England, Canada, Mexico and the U.S. Th e aft ercare team who cared for the children in the ICU were from Boston Children’s Hospital which is rated number one in the United States for pediatric cardiac care. “I had the honor of standing shoulder to shoulder with the surgeon in El Salvador during open heart surgery on nine month old Matthias. I held up through it all until seeing him in his crib the next day and the emotion was overpowering,” said Grech.